I have finished a few other books that need to be recorded but last night I finished a book by a guy I actually know! 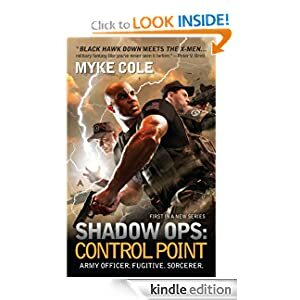 Shadow Ops by Myke Cole is in the fantasy universe and while I’m not super well read in that genre I think he managed to create a unique twist on the world. I suppose it is not totally unique because super-powers in humans have been the topic of many many books, movies, and comics but his twist is more how the world treats those with powers and a bit of a twist on the ‘why’ of those powers. When I know an author, usually by reputation rather then a guy who went to my wedding, I always try and see if I can see ‘them’ in the book, or, their opinion on something shine through. This time I could see the military side of Myke and definitely some poli-sci type training but mostly it isn’t so much a statement book as a foundation of a series. The book was a bit hard to get into for me because it felt like it jumped around a lot in the first few pages expecting you to just ‘catch on’ to the differences in this world, and, it was hard to follow all the action. I did catch on pretty quick but my biggest complaint on the whole book started on page 2; the non stop action is sometimes hard to follow. I found myself re-reading the fights to figure out what happened and I’m not sure if that is just me not following or not. I got into the characters pretty quickly and they are likable and dynamic in general. The main character has a major struggle that he flip flops on and that gets redundant but it is necessary for the plot and is pretty realistic for someone trying to figure out something major in their life. One thing that I noticed ages ago as a plot device is that often there is a side character just created to allow the main character to have a sounding board, or, they say something unrelated that triggers ‘the answer’ in the protagonist’s mind. This is usually the wife, sister, daughter, coworker and in the Druid books the dog served this role. While this was in Shadow ops somewhat I think part of the problem was that the protagonist didn’t have someone to talk to. This may have been 100% intentional to play up the “I can’t trust them all” mentality but it does end up with in the head dialogue and flip flopping. It’s a different style and I thoroughly enjoyed the story but a tiny part of me can’t help picking about the literally devices. I liked the story, I want to read the next one, I found myself looking for time to read and those are all good signs. The nonstop action moves the story along quickly and I read the book in about a week of ‘finding time’. The key I think is that an interesting world and situation were established and I want to know what happens next. I like that it was not romance driven and that there were twists – some that didn’t make sense at the time but I can see potential for that to be explained later. The soldiers view is interesting and I’m glad I had a basic knowledge of base and military life but it wouldn’t be necessary. I can see this being read and enjoyed by young adults on up – the violence is creative rather than graphic and while tons of people die its more in a war setting that feels easier to accept to me. If you read it let me know what you think – Lars is in the middle of it. I can’t figure out how to lend it on kindle but I’ll work on that…. Now on to the next book, recommendations? 12feb-049, originally uploaded by katymac79. On the theme of names, Niamh is beginning to notice she is the only Niamh. We knew this might be an issue… Being able to show her my cousin’s girlfriend on Facebook helped a little but I think when the second Natalie joined the class that did it, she didn’t have a pair. So far this is manifesting in Niamh naming all namable things ‘Niamh’. Like Zoe’s owl is technically Niamh’s and it’s name is Niamh. I do point out that having to differentiate between owl-Niamh and person-Niamh is really not fun and isn’t she glad to have a unique name? (not buying it…). So the second oddness to having a name with a silent H is that she feels free to throw an H onto the end of other people’s names too like our friend Dana she guessed the spelling as Dainh. Not really as wrong as it could be but I think she is just tossing out H’s because she is not sure where they go for real. This weekend there were two Zoe’s in the tiny little play land and it was really not all that fun for our Zoe who kept looking for who is calling her. You just can’t win really, I never minded my name but is was so common that I always had to deal with a variety of nicknames or name+initial. One of the big reason’s Lars is a Lars (not his real name and that is just very handy for blogging) is because his real name is equally common as Kate and he was just tired of being one of many so in college he started going by Lars full time. His family and the IRS still use his real name but that isn’t even as uncommon as you might think, I can easily come up with 10 people that go by something other then their legal birth name and that does not count SCA. That’s what actually sold us on Niamh – if she truly hates it, or, the spelling of it, she can change it and we will be fine with that. It is just such a pretty sounding name – pronounced like Eve with a N start for those who have only seen me write it – and it has a cool meaning and it just suits her so well that I’m glad we didn’t listen to the aiti-odd name people. Names as the topic of the day – little girl needs a name too. We are actually in agreement on a name already and it came to us very fast so that is really cool but if there are some suggestions we are open to them. At one point I noticed that Niamh and Zoe do not share any letters and thought maybe we could get a third name out of the remaining letters but I don’t think that will happen. Our options are B,C,D,F,G,H,J,K,L,P,Q,R, S,T, U,V, W, X, and Y – many consonants but only U and Y as vowel options, the only viable girls names are Ruby, Trudy and we are not fans. There might be more, we thought about it one car ride once and have a decent list but most are boys names. So if anyone has a brain wave on a girls name let us know! Weekend was uneventful – no injuries and Lars actually got his stiches out. 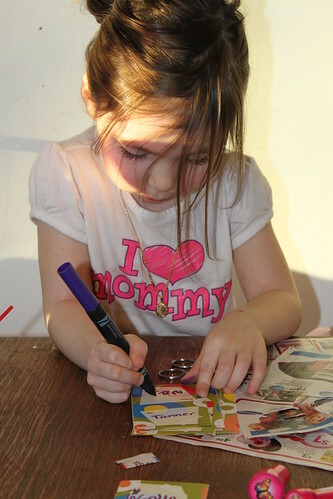 We did a few fun things with the kids and a few things around the house but nothing major. The biggest happening was my upgrade to and iPhone 4s but then in setting it up Seri got erased somehow so I need to go back to the store. This week at work is the fun fun spirit week that culminates in a bonus check and while the activities are less fun for me than other years any week that is fun is worth it in my opinion~ Time to get back to the list of things I must do before I leave. Hope the weekend was fun for you all too. Ever had too much to talk about but nothing you CAN talk about? That is me today – way too many things swirling around in my head and life etc (mostly good, some bad, a few just ‘things’ to figure out like wood floor quote). So, I went to the Daily Prompt site to see what inspiration they had for me. Today’s prompt was about grammar and you know how much I love that. Technically I do like to speak correctly and I do correct Niamh’s grammar but I don’t want to get hyper sensitive about it so I’m going to yesterday’s prompt about the About page on a blog. The writer makes a valid point, knowing who is writing a blog and connecting with them is an important part of a successful relationship online. I need to spruce up my about page but it is really not all that out of date and I do notice that it gets a read a week or so from people who stop by. Hopefully those people stick around or check back but if not, we just didn’t connect and that’s fine too. The new thing they suggest is a contact link and low and behold wordpress happens to have an easy way for me to do that. So here it is?!? You can send me feedback in a not comment format that only I can see. Somebody give it a try! I wonder if I can put it in my side bar? Maybe they link to the ‘about’ section is a subtle suggestion that you should put one of these on that page… that might be cool, when I tweak stuff later I’ll do that. Need to keep the site fresh and fun right! Since it is Friday I must mention the weekend. I’m in a streak of ‘no plans’ but still have stuff to do. Maybe the Zoo? Have not done the Zoo in a very long time. We also have a bunk bed to build, and paint pink… And carpet to look at and a bunch of little things that always creep in to fill the time. Ok, back to finishing the work of Friday – hope everyone has a good weekend. 12feb-010, originally uploaded by katymac79. 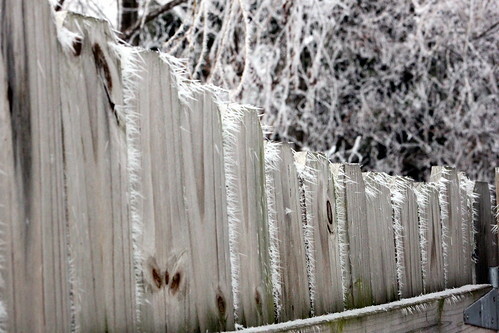 Weather people – what is this cool frosty stuff called? One morning a few weeks ago we woke up to the world looking fuzzy/spiky/frosted and it is hard to capture in a picture but was very odd and very cool. This winter has been like that. Odd yet cool. There are a ton of people complaining about the lack of snow and personally other then everything being very brown I don’t mind that it isn’t snowy. On top of that, it has been a fairly warm year so any time we get snow its gone in a few days more or less. This is pretty similar to how New York where I grew up does winter. I like that this year temperatures are ranging from 40’s to mid 20’s, there have only been a few really cold days and in general it feels like spring is around the corner. I fully expect a snow storm or two in March but I’m glad that we were not in a deep freeze for 6 months. I don’t have a picture but one of the crazy person ice huts on the lake fell half in yesterday so I don’t think we are even taking the snowmobile on the lake this year. I’m sure weather discussion is almost as bad as what I ate for lunch discussions but for the record this has been a super mild winter. I do not miss running from car to building holding my breath to avoid freezing my lungs closed but a tiny tiny part of me does miss the white snow. In other news, Zoe was completely fine yesterday but being home with her meant my lunch errands did not get done. I did get out of the house to do a little grocery shopping so having that done is a perk but it still does not quite balance out the other stuff I intended to do Tuesday and Wednesday at lunches. Thinking of my future as a stay at home mom (date tbd) I think I will really miss my lunch freedom. I’m totally fine with doing things all day and keeping a schedule that I basically make myself and even rolling with inevitable changes won’t be so bad since how different can a kid emergency be then a production line emergency, but, I will really miss the hour of ‘get it done’ time I get a few days a week. Maybe I’ll meet some other mom that will trade a lunch hour off a day or so a week or maybe I’ll just get really good at doing things with kids and figure all my alone time is being banked for when they are 14 and don’t need me much anymore. The other thing is working out, that will be challenge #2 but I actually have a few reasonable plans for that and I don’t feel all that bad commandeering time to be more healthy. Any SAHM have tips on either situation? Today no news is good news. After a very sick day yesterday with fevers up to 103 and puke Zoe magically healed herself overnight. The doctor said a 24 hour thing is going around so that must be it. Today I stayed home to complete the 24 hour out of school timer and I actually thought she would still be sick but she is totally herself. 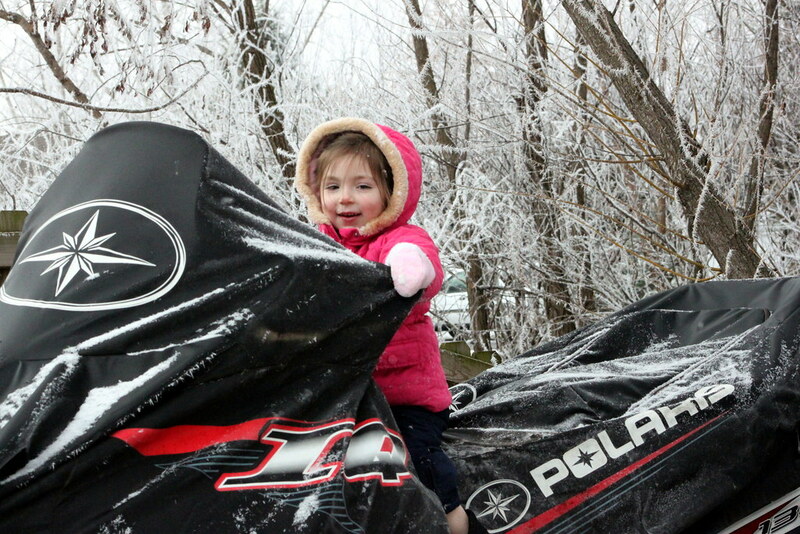 She is enjoying having all the toys to herself and a mom and dad too. She does ask where Niamh is ever hour or so but does not seem to mind that she isn’t around. The trick is trying to work and be here too so that eats all the extra time. That’s it for today, back to doing two things at once but just for those following the sick kid saga she is all better.